Organically grown, cold-pressed extra virgin olive oil. Regular 8.5 fl oz (250ml), Large 25 fl oz (750ml). Winner of the Extra Gold medal at the Premio Biol competition in Italy, making it one of the best organic extra virgin olive oils in the world! Sindyanna of Galilee is a female-run organization that markets olive oil and other premium fair-trade products, channeling all profits back to educating Arab women. Your purchase offers Arab farmers in Israel a fair price for their crops, Palestinian and Israeli women greater economic opportunity, and a rare model of Jewish-Arab coexistence. I am pleased to support this initiative and will continue to do so - and this is excellent olive oil! Consistently great product. Happy to buy again and again. I love the quality of this olive oil, the beautiful label - and appreciate the chance to support small scale Arab farmers in Galilee. Lovely gifts as well! This is excellent olive oil. Also makes a great gift!!! 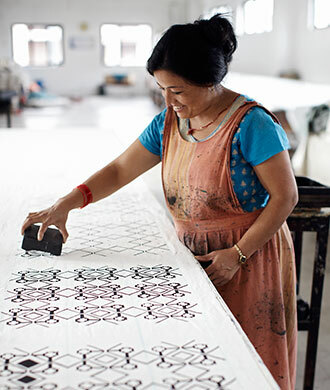 I love using my purchase of a fair trade item to help people who are challenged geographically and economically. I love this olive oil. Pure, stays fresh. Used to buy locally. Your service was very speedy, and for that I thank you. My husband and I absolutely love this olive oil. I am from the region and have much experience with olive oil. This oil is energizing and has a light, delightful flavor. I add to soups and salads. Highly recommended. This olive oil is good for the heart and soul ... grown by Israeli and Arabic (Christian, Jew, Muslim) and phenomenally good. Award winning. Used it for years since visiting the cooperative and our hospitality gift of choice. I love this olive oil and I love who is making it. The cooperation of the Jewish and Palestinian women is wonderful but the oil tastes great! 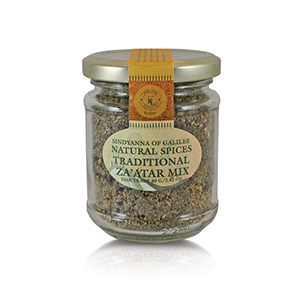 I use it in salads, cooking (I love the taste when roasting vegetables! ), and dipping bread (mix in some salt, pepper, and pesto for a yummy treat). We love the olive oil, but the packing for our 3 cases (yes, 36 bottles in all) was insufficient. A bottle of broken olive oil, with oil everywhere and broken glass, makes for quite a mess. Did not bother filing claim, just cleaned it up and used the remaining 35 bottles. Owner Response: We are sorry for the mess! Thank you for letting us know. We would be happy to credit your account for the broken bottle if you would like. Not often you can buy a product that is super tasty, great for the environment and fantastic for the people. Olive oil that brings peace. Wow! How's that for a holiday gift. Keep up the wonderful work you do. Thank you. I bought a whole case of this olive oil. I am kind of disappointed because, it is not aromatic. What I mean is that I buy lots of Portuguese oil and when I open a bottle of Portuguese olive oil, I can actually smell an aroma of olives. I will not buy this olive oil again! This is excellent olive oil, for cooking, baking, dipping. Pairs well with some of the West Bank ceramics offered in the Serrv catalog. Very good price, excellent product. There is something incredibly delicate and refreshing about this oil. You will find yourself using it in more and more ways. There are no limits to its ability to please! Palestinians and Israelis working together? Impossible! Or maybe not. 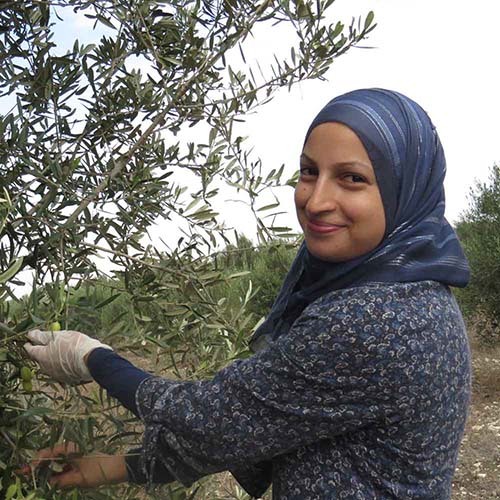 This olive oil is processed by both Israelis and Palestinian women working together. The oil is great and the group processing it fantastic! Oh and Serrv always get's my order packed and shipped quickly. Thanks! I have been ordering this olive oil for years both to use at home and give for gifts. It is delicious, and I have never had a problem breakage or shipping. I have been purchasing this organic/fair trade olive oil at the store in New Windsor (closed now) for years and it is the best tasting olive oil. I miss the store, but am happy to still be able to purchase this via mail. I highly recommend it. 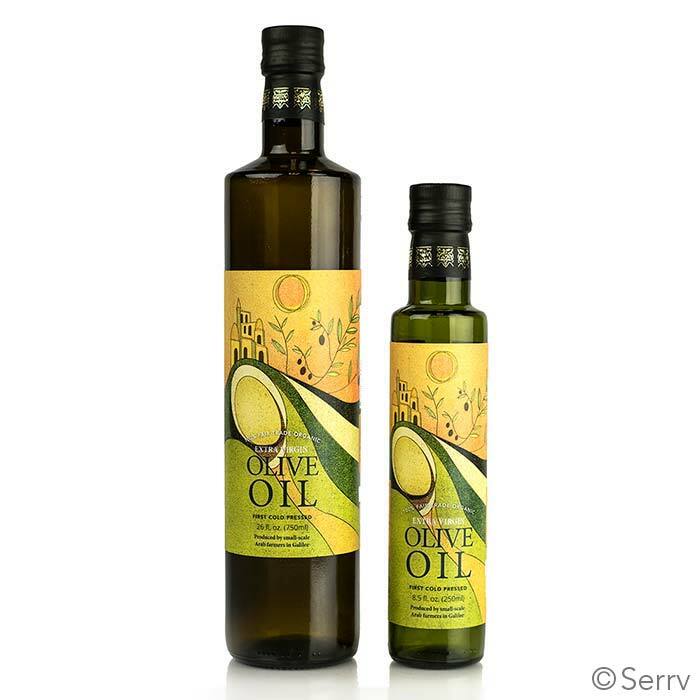 I have sat in the seat of a SERRV exhibit at our church conference and we do sell items as well as display some of the crafts available..This Olive oil is always a hit, I use...and this year I ordered more..and still sold out! Love cooking with it! The flavor is always excellent! I love the flavor of this olive oil from Galilee. This product is beautifully packaged and taste great. I use in my salads, on bread and when cooking. Glad I bought multiple bottles! This olive oil puts other olive oil to shame! I love the flavor of this olive oil. Bought some for myself last year and this year bought a case to share as gifts with my family. very disappointed that case arrived with no labels on the bottle. I had to print out labels so people would know what they were getting. What's up with that? Owner Response: Our apologies! We've let our warehouse know about this situation. Thank you for bringing it to our attention. I bought some of this olive oil at World Market at our church last year. Since I wasn't able to get any there this year, I ordered some for me and all my children. Delicious-best olive oil I've ever tried! Oct 26, 2016 | By Cathy R.
I use it all the time in cooking, and for drizzling over food such as hummus. It has a bit of a "bite" when tasted by itself, but that is not noticeable in food. Tastes very good in food. My order was delivered quickly, and was well-packed, it arrived in good condition, no broken bottles or other problems. I never thought I would come to be such an admirer of oil, but I am. Imagine a delicate-tasting oil that was created by cooperation between Jewish and Arab women! I give both small and large bottles as gifts, and have had nothing but rave reviews coming back from the recipients. Try it and you'll be hooked, I promise. Such sweet elegance for such a nice price! Have been using this olive oil for several years now, despite the high price (took a star off for that alone). Good quality and taste. Perfect for salads. Easy, non-messy pour spout. This is some of the best olive oil in the world! We give this size bottle as a gift each year ... with a prayer for peace and the SERR message. Always well received! I have been ordering this olive oil for several years. I enjoy it on salads, for cooking, and as a replacement for butter on hot vegetables. This oil is versatile and great tasting. I have been using this oil for some time. It has a wonderfully delicate flavor, and a wonderful underlying story of cooperation among Palestinian and Israeli groups. The collaboration between Arab and Jewish women is inspiring; the oil is delicious. What a combination! It was disheartening for me to learn that many major brand olive oils in stores are fake. This is the real deal---healthy and delicious. It would make a great gift for cooking enthusiasts. This olive is fantastic as is Sindyanna. It is inspiring to be able to support such a groundbreaking group such as Sindyanna. Thank you SERRV for featuring this product. I've used this oil for years, give it as gifts at holidays; it's really good. And it's organic. I visited Palestine this year for first hand view of what this women's cooperative is doing ...and it tastes even better! 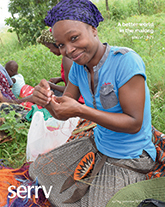 This is excellent olive oil, and buying it supports a group of women working to create models of peaceful partnership and empowered opportunity. I bought a case of small bottles, which is almost exhausted. I gave a few bottles as gifts but have been using most in my breadmaking, salads, pastas and dips. 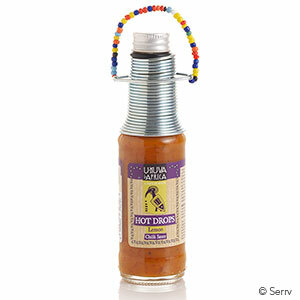 It is so mild and wonderfully flavored it works anytime. I'm buying another case today. I bought a bottle of Sindyanna Organic Olive Oil from a discount basket in a specialty grocery store. It is now over two years past its "Best Before Date" and as sweet and good as ever. It has the most appealing flavor I've ever found in an olive oil. I spent a long time looking for it to buy online. I am so grateful to the women of Israel and Arabia for combining their love, inteligence and hope for the future in the enterprise that is Sindyanna.